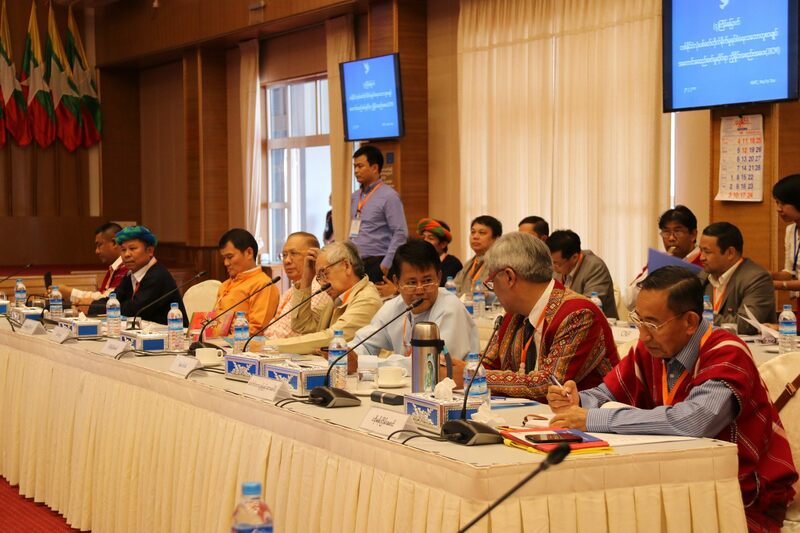 The 7th Joint Implementation Coordination Meeting on Nationwide Ceasefire Agreement-NCA was held at the National Reconciliation and Peace Center in Nay Pyi Taw at 2 p.m of 28 February. “As it is a political dialogue, it is necessary to include the opinions of the whole community at different national levels,” said comrade Than Khe, the chairperson of the All Burma Students’ Democratic Front (ABSDF), and a member of Peace Process Steering Committee (PPST) of NCA-S EAO, who attended the meeting, adding that all have accepted the efforts need to be undertaken for the national-level political dialogue which is necessary to be held, creating sufficient time and space for negotiation during these three months. If these efforts for national-level political dialogue are practically implemented, Union Peace Conference can be convened coming late April or early May.